Tips for dog owners, house training, collars, diet and bloat, jumping up, toenails, vet exams, why dogs bite, kids and dogs, scratching, and housebreaking. Puppies HATE it when they piddle and the puddle wets their feet! Now you know why they use your carpet but grass or dirt works the same way... Depending on puppy's size, provide absorbent pee-pee papers (not newspaper) until he is old enough to hold overnight and between outings. The most important thing you can do in those first few days - Keep your new puppy in a crate or on a leash attached to YOU so he can't piddle when you aren't looking. He will be house trained in no time and you will thank TheDogPlace.org for making an odorous chore quick and EASY! Choke collars. They can hang on an object and choke your dog if you're not there to save him. Choke collars should only be used for training and then removed when dog is unattended. Here's a tip - did you know they make combination “safe choke” collars that can serve as everyday-wear? If properly adjusted, they cannot strangle but will tighten just enough so that the dog can’t slip out of his collar. Your puppy's neck will grow. The collar will not. Hundreds of dogs are lost yearly from skin infections, even collar strangulation due to owner neglect. Dog Safe Fruits and Veggies? Yes! Dogs usually welcome (or learn to love) fresh fruits. When you are eating, offer him a small bite of your apple, green grapes, even a banana! 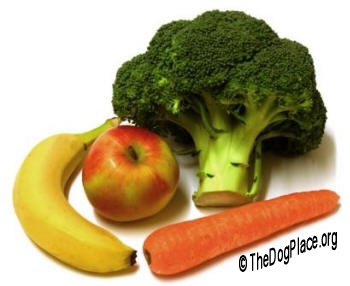 All dogs love cooked carrots in "dog stew" (meat, green beans or peas, broccoli, tomato, celery, apples, etc.) and puppies can be given a chilled raw carrot as a healthy teething toy. Two more dog diet tips and both are instant information! All carnivores (meat eaters) need fresh grass and other vegetation for proper digestion. You know what ii means so get instant information in ii The Carnivores Diet. This applies just as much to kitties but for cats they make little potted catnip and grasses. ii Why Dogs Eat and Need Grass. But do you understand dog talk? Do you know as many dog-sounds as he knows people-sounds such as “go, car, hungry, eat, cat, outside, keys, or bed”? 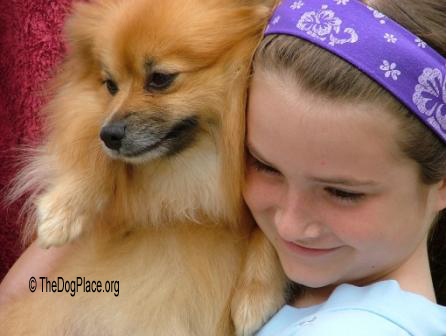 Can you relate to the sounds your dog makes when he is happy, bored, sad, or distressed? He knows the sound of the refrigerator, doorbell or YOUR car. Understanding his language, (including canine body language) as well as he understands yours is a big factor in training and managing your dog. We invented the term Dog Talk in 1995. If people understood dog-language as easily as dogs understand people-language, can you imagine the wonderful things we might learn? Dogs are not multi-lingual but they understand “Good Boy” and “baaaad dog” in every language! They understand the tone of your voice and quickly associate it with your words. Jumping Up (or down). Do not let your dog jump down from high places like a grooming table or your bed, particularly in close quarters. The force of landing steeply on his forequarters can cause injury to a dog's cervical disks. And of course, don't let him learn to jump up on you. Muddy paw prints, torn hose, trip and fall accidents, and overall annoyance outweigh the flattery of his love for you. Depending on the dog's size, as he jumps up to paw at you, bump him (hard!) with your knee to his chest, aim a boot to the belly, step on his back toes, or quickly sweep the back legs out from under the dog. None of these instant thought-out-in-advance reaction by you should be too hard for that dog's size and personality. Toy breeds require good aim on your part because they tend to dance around more but a well placed, abrupt "shove" with your toes will usually suffice IF IT IS CONSISTENT. In all training corrections, be swift and consistent. If you're too slow, the dog will not associate your action with what he just did. If you let him do it this time and then correct him next time, that is cruel because your goal is to stop the behavior quickly and just forcefully enough to make the point. Large dogs and those with short noses suffer more from high temperatures than from cold. The dog's body temperatures is 3 degrees higher than ours. 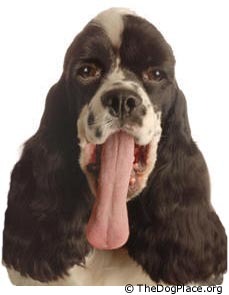 If your flat-faced breed gets overheated and struggles for breath, wipe the phlegm from his mouth and nasal passages, soak him with cold water, and rush him to the vet. Heat Stoke Symptoms and Prevention - don't wait until it is an emergency. Another tip: Dogs require large amounts of water in hot weather. Provide more than one source of of fresh water ... and be sure there are no deodorizers or cleaners in the toilet because if he can reach it, he'll drink from the always cool, always clean "bowl." One of the most important tips to protect your dog and keep him with you is this: Never exercise your dog on a full stomach, it can cause deadly gastric torsion (bloat). If your dog's tummy looks really "bloated" and he is showing signs of distress, he may have gastric torsion which can be fatal within the hour. Get him to the vet immediately. Common sense: ii Carnivores chase their prey (exercise), then eat, then sleep while digesting the meal. Use this tip if your dog is sprayed by a skunk! Another tip: make sure your dog gets daily exercise so that his elimination system is stimulated. Constipation can be a chronic canine condition and just like in people, cause lots of problems. Small, short coated dogs can become easily chilled as they have a different metabolism than large breeds. A little sweater for outside winter walks will keep him happy. Cut Those Toenails! If your dog is inside on carpet, his nails are probably too long and will cause his toes to become deformed and arthritic. There are special tools to cut or file his nails or if you're chicken, have the vet tech show you how. If your dog tends to tear a lot, have his eyes checked, keep them clean, and use a tear-stain remover under the eyes. Check your dog's ears, eyes, and mouth weekly to detect grass seeds, ear mites, ticks, or other harmful but easily overlooked foreign objects. 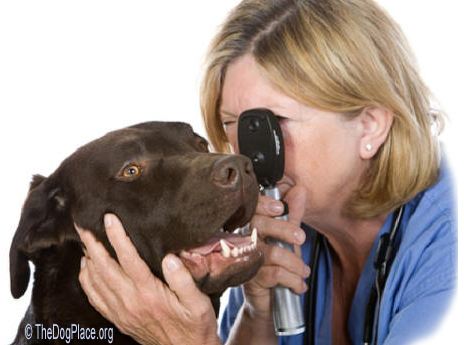 If he has trouble eating, chewing a bone, or swallowing, take him to the vet! Drop-eared dogs are prone to ear infections. Be sure to check the ears regularly and keep them clean, dry, and free of wax build-up. Itching, scratching, allergies? Are among the most common reasons dogs are taken to the vet and we hate to say it but heartworm prevention medications are one of the main reasons dogs itch or develop immune system problems. 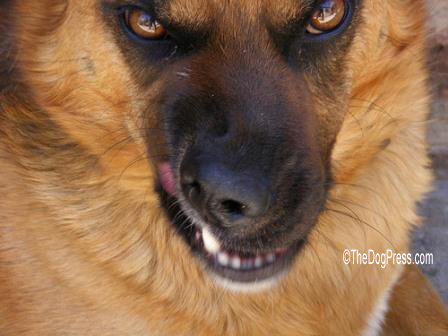 Dominant Dog Problems Do not ever let a dog growl or snap at a family member even if they are teasing the dog. Make the person and the dog stop their stupid behavior! Dog attacks on humans are so rare as to be newsworthy and so, apparently, is the fact that 99% of all dog bites are preventable. There is always a reason why dogs bite back and it can have as much to do with training as it does with the breed of dog a family chooses. Did you know that auto injuries vastly exceed dog bite statistics even though you have to have a license to drive? Here are some basic owner guidelines that apply to all dogs. Never let your dog dart through an outside door ahead of you. He should always show deference to the pack leader and that is you. Even small dogs understand rank. Dogs do learn from each other and that can be a good or a bad thing depending on the dominant dog's level of obedience. Pay attention to the interaction between them. A clever owner will help the older or more dominant dog "teach" the new dog how to fit into the family in mannerly, acceptable ways. Kids and Dogs were made for each other but do not ever leave a young child alone with any dog, large or small. Toddlers poke at people and dogs. We know of a dog that was blinded in one eye by a toddler who jabbed into the fascinating eyeball. Which breeds are best with children? Unlike most lists of dog breeds for the family, we explain WHY some breeds are better suited for kids. Youngsters can innocently hurt a dog or conversely, the child can be knocked down or injured by a dog. Dr. Lee, PhD examines the God Myth in Is "D-O-G" really G-O-D spelled backwards? 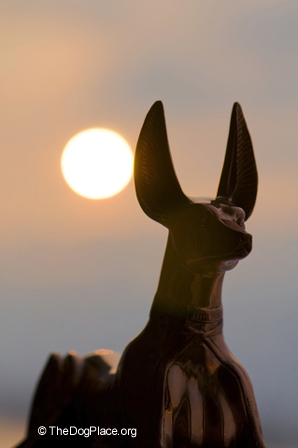 The role dogs played in ancient times, from the Anubis to King James is fascinating! And understanding that long history and how dogs became "man's best friend" is vital to being able to manage your dog by speaking his language. The dog is the ONLY animal on planet earth that so closely exemplifies the meaning of God. Dogs require digestive enzymes, here's where they get them.